I still remember April Fool's Day when I was a fourth grader. A reading comprehension worksheet went out to the class, and in minutes, we were all dumbfounded. The story and questions were incomprehensible, written in complete gibberish. But our teacher went along with the joke. We had a half hour to finish it, and it was going to be worth a substantial amount of points. Do you have other ideas for classroom pranks? What resources are you using to bring April Fool's Day into your class? 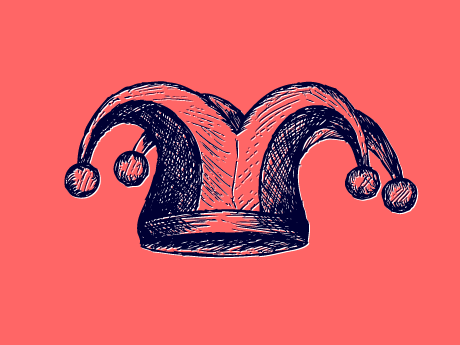 April Fool's Day: A Foolproof Primer on Classroom Laughter: In this Scholastic Teacher post, author and teacher Allie Magnuson takes a look at the importance and benefits of using laughter in the classroom. It’s a great read for educators who have been reluctant to use humor in their classrooms, and offers some simple ways educators can get their students laughing and learning. Library of Congress: April Fool's Primary Sources: The Library of Congress (LOC) is a wonderful source of primary sources that can be incorporated in lessons, and this April Fool's themed page features a range of interesting historical sources. Also be sure to check out out the LOC's April 1: On This Day in History and April Fools' Day interactive timeline. The Museum of Hoaxes: This is a super-fun resource to share with students. (And thanks to Julie Winterbottom for sharing this with us.) The Museum of Hoaxes features some interactive and interesting April Fool's timelines, a gallery of hoaxes and other fun stuff for students. One compilation that might be particularly engaging for students is "The Top 100 April Fool's Day Hoaxes of All Time." 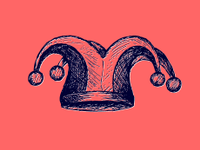 CNN's April Fool's Day Fast Facts: This is a brief look at some of the interesting trivia related to April Fool's that is perfect for sharing with students. Plus, if you're interested in April Fool's history, check out "No Kidding: We Have No Idea How April Fools' Day Started" from Time. Humor in the Classroom: A MiddleWeb Resource Roundup: This resource from MiddleWeb features a wealth of ideas and tips for using humor in middle school classrooms. Included are links to relevant articles, like "Humor as an Instruction Defibrillator," which offers great insights into the types of humor you can use in class. Plus, there are links to articles and other resources that will show you how to use humor in various subjects. April Fool's Day Teacher Resources on Pinterest: There are so many Pinterest boards for teachers on April Fool's -- it's impossible to list them all. But there are a few favorites for teachers, including WeAreTeachers' activities list, Rachel Friedrich's board, PediaStaff's useful pins, and Deb Chitwood's great roundup. Top 20 April Fool's Pranks for Teachers: The Squarehead Teachers blog put together this list of fun, light-hearted April 1 pranks for teachers. These are mostly low-prep pranks that will help you catch your students off-guard. Also, be sure to check out their post, "(No Prep) April Fool's Day Pranks," for some last-minute ideas. Foolproof Fun Lesson Activities for April Fool's Day: This post from BusyTeacher.com features some great ideas for April Fool's Day in the ESL classroom. Although these ideas are ESL-focused, the ideas translate well to any classroom. The research is clear about using humor in the classroom -- humor is an extremely engaging tool. But for educators, it can be a challenge to bring a little levity into lessons. Where should you begin? What types of humor are the most effective? And how exactly is humor best incorporated into lessons? Here are a few articles that provide ideas, tips, and strategies for engaging students with humor. Humor in Education Resources, the Association of Applied and Therapeutic Humor (AATH): The AATH database of humor resources offers tons of useful content and will provide ideas for incorporating humor into many different subjects. In their "Humor and Education" section, you'll find articles that cover a range of topics related to humor in the classroom, as well as a long list of books dedicated to humor in education. Tips for Using Humor in the Classroom: Here's a great article from the National Education Association that highlights effective strategies for incorporating humor into your lessons. There are a few examples that teachers have used in their classrooms, as well as a short video Q&A with humor researchers and a teacher who doubles as a stand-up comedian. Lesson Plan: Comedy in the Classroom: The New York Times' The Learning Network put together this resource for teachers looking to bring to humor to their lesson plans. There are some great ideas for teaching the history of humor, writing and performing fake The Daily Show-style newscasts, and analyzing political cartoons. There’s something here for teachers of every grade level.